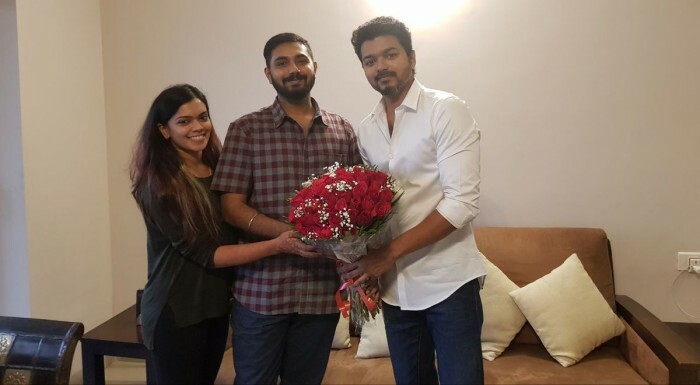 In a sweet gesture, actor Vijay met the couple at their residence a day ago and blessed them on their new beginnings. 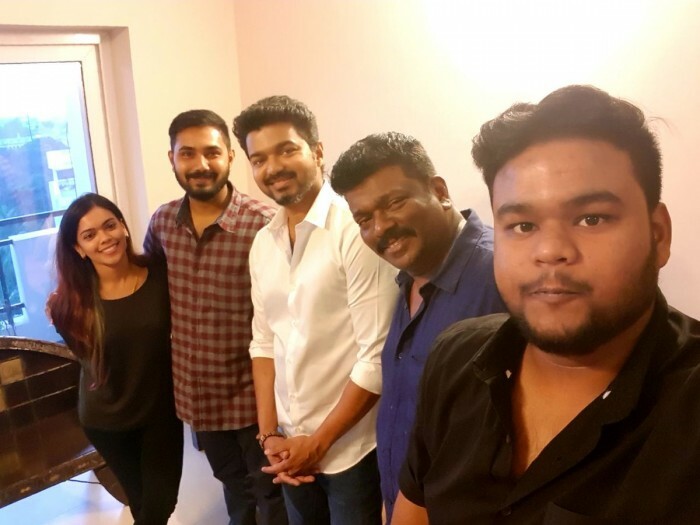 Seen in the photos are Vijay, Parthiepan, popular editor Sreekar Prasad with the newlyweds. Seetha has been an actor in Telugu, Tamil, Kannada and Malayalam industries for more than four decades now and has been acting even now in supporting roles. 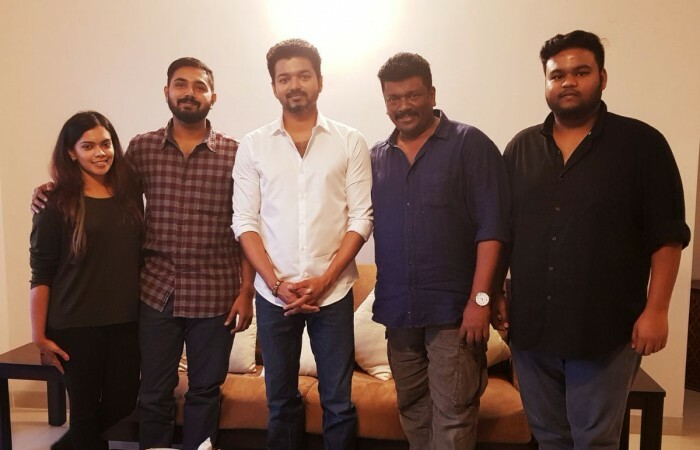 Parthiepan is a filmmaker and occasionally does act too. 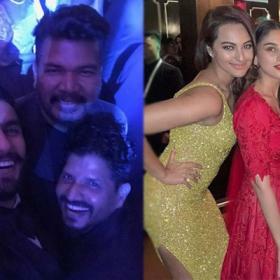 Keerthana, the daughter, got married to her love of 8 years and the wedding couldn’t have been more memorable one for the couple with such huge stars attending it. 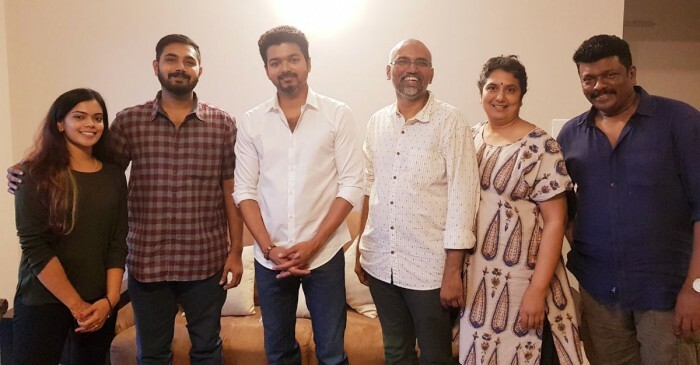 Vijay, who is currently shooting for his upcoming film with A.R.Murugadoss which is being referred to as Thalapathy 62, made sure he took time out to meet the newlywed couple to bless them. Seetha and Parthiepan are popular actors in South Indian film industries and are dear friends with many top stars. 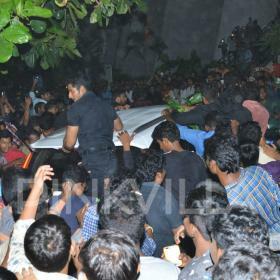 Vijay’s gesture of taking time out to meet Keerthana and Akshay is being lauded by his fans, who love him the most.